Public views are being sought on plans to create a sustainable mixed use community on an old high school site in Lerwick. 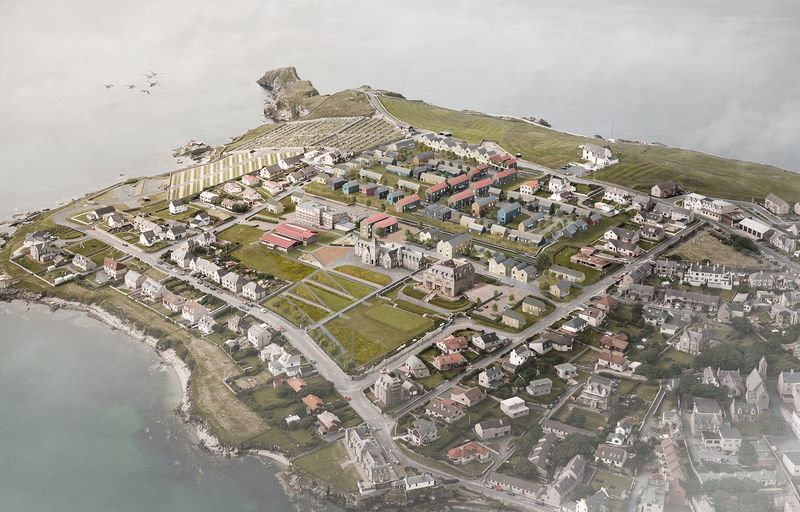 The draft Knab Masterplan outlines how the site could accommodate up to 140 homes of a variety of types and tenure through a combination of new build and reuse of existing listed buildings. The site become vacant when staff and pupils relocated to the new Anderson High School at Staney Hill. Edinburgh-based 7N Architects was selected to draw up designs for the redevelopment as part of a team which includes consulting structural & civil engineers David Narro Associates, quantity surveyors & cost consultants David Adamson and Partners, Groves-Raines Architects, Rankin Fraser Landscape Architects and transport planning consultants Systra. An exhibition of the plans at Islesburgh Community Centre will run until May 3.